Massachusetts is consistently one of the most “tenant friendly” states in America. In this post we’re going to break down some of the common pitfalls that can put a landlord in hot water. I work at RentPrep which is one of the few tenant screening services that hires, trains, and employs FCRA Certified Screeners to run reports and answer calls. This gives a unique ability to identify states that are more stringent than others. Unfortunately, Massachusetts has some of the strictest policies on landlords when compared to other states. We will work our way through the tenant screening process and point out possible tripping hazards. 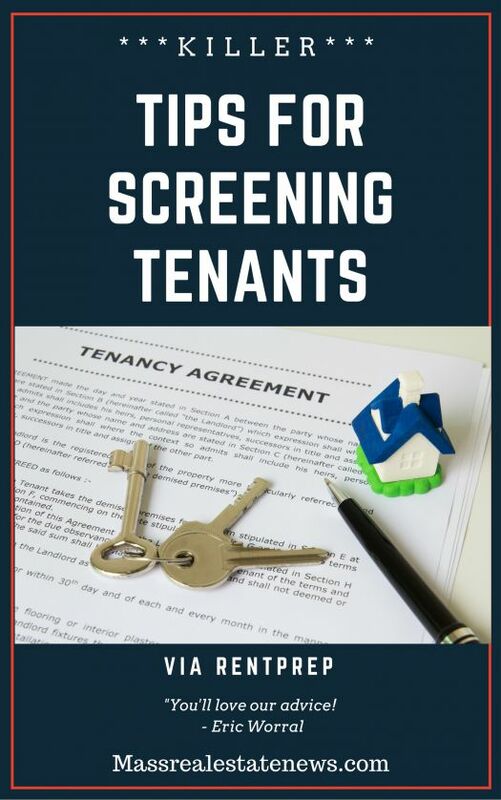 Keep reading to see all our tips for screening and placing tenants. Let’s begin with the application process. Most states will allow you to charge an application fee to prospective renters to cover the costs of a background check. Some states don’t even regulate the amount you can charge. In Massachusetts, landlords cannot charge any kind of application fee. This change went into effect after a class action ruling on August 26th, 2014. This ruling makes it clear that it is unlawful to charge any upfront fees except for those pertaining to the first and last month’s rent, along with security deposit and a lost key fee. This means you cannot charge an application fee, pet fee, move in fee or any fee that is not included above. This can be especially tricky for out of town investors who are familiar with charging application or pet fees in their area. This is why it’s always a good idea to research and read up on laws at the federal, state and local levels. A seasoned landlord will encourage you to run background checks on your tenant applicants. This is important because you want to identify any red flags an applicant may have in their history. However, there are limits to the amount of the data you can see. The FCRA (Fair Credit Reporting Act) is the rule book that a consumer reporting agency must abide by. Your report should not include eviction data over seven years old. It’s termed as being “non-reportable” and you cannot use that in your screening of applicants. Part of the reasoning for this is to provide a second chance to people who made mistakes many years ago. You should also not consider a bankruptcy that is beyond 10 years old. It’s on the CRA to remove this data from your report but as a landlord you’re the second line of defense. There is one thing you should be aware of when it comes to an interesting wrinkle with Massachusetts. It is one of only five states that doesn’t allow for “instantaneous access” to their state databases. This means that instant background check services cannot access the criminal records in Massachusetts. The downside is that 95% of screening services use instant software to generate reports. Those reports are not able to collect criminal history so if your tenant applicant committed a crime you won’t be able to see it on their background report. Although they are more work, this is one of the reasons we still offer hand-compiled reports so we can access more data. If a service takes five minutes or less to generate a report it’s being done instantly. It may not satisfy immediate gratification, but waiting an hour or two for a report is actually a good sign. Let’s say you get through the screening process and you’ve decided on a tenant. Before you rush to get them placed in your rental, you should read up on security deposits. Handling of security deposits can vary from state to state. As mentioned earlier, Massachusetts is a tenant friendly state, so it shouldn’t be a surprise that it leans heavily towards the renters favor. A security deposit should not be considered income or money for the landlord. It is the property of the tenant until a landlord is properly authorized to use it. The landlord is required to keep that security deposit in a separate, interest-bearing account within Massachusetts. At no point should the landlord’s personal funds be commingled with the tenant’s security deposit funds. The landlord must notify the tenant (in writing) within 30 days of depositing the security deposit. They must include the name and location of the bank along with the amount of deposit and account number. Some banks will allow you to create sub-accounts within one account. You may want to research options that will allow this but be sure each sub-account has it’s own account number. If you don’t follow these rules a tenant can request to have the entire security deposit returned to them. Lastly, be aware that a tenant is entitled to interest on the deposit after one year of tenancy. If you followed the proper steps, you can pay out the interest generated by the account. If you did not place their funds in an interest bearing account, you will be required to pay at an annual rate of 5%. To read more on security deposit laws you can visit mass.gov. Getting the wrong tenant in your rental property can cause a lot of harm to your business. Usually a late paying tenant can be served a three day (sometimes five day) pay or quit notice. This notice gives the tenant a window to pay the rent or be evicted. In Massachusetts this is a longer period of time with a 14 day notice. This is worth noting because it adds to the amount of time it takes to go through the entire eviction process. An eviction becomes more expensive the longer the process takes. This makes it extremely important to make sure you have the right renter in your property. 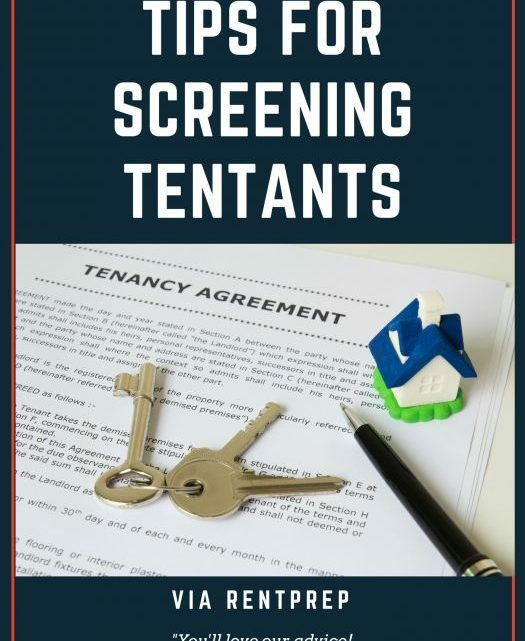 Take your time with the tenant screening process and be sure to read up on all the local laws specific to your ordinance. One of the easiest things you can do to make sure you’re protecting your investment is to take good pictures of your rentals on move in day. You will lose the security deposit battle in court if you don’t have proper documentation of the condition of the rental at move in day. Take photos with a timestamp app and even consider taking a brief video. Put these files into a zipped folder and email them to your new tenant and request confirmation of receipt. This step will create a digital paper trail that the tenant confirmed these photos. This should accompany a move in condition form that the new tenant will need to sign. At move out, you can go through the rental and document any damages. You’ll again want to take time stamped photos, so you can provide as much documentation to the judge as possible. Taking photos and documenting your steps is crucial to protecting your investments. Hopefully these steps will help push you in the right direction when it comes to finding and placing tenants in your rentals. If you have questions about background checks you can always live chat or call one of our screeners in the office. We’d be happy to help you find that perfect renter. Understanding rental reports via Abodo. Tips for selling a house with tenants via Maximum Real Estate Exposure. What do millennials want in a rental via Massachusetts Real Estate News. About the author: Tips for screening and placing tenants was written by Eric Worral who works at RentPrep.com which is a national tenant screening service. Rentprep believes that background checks are just part of the tenant screening process. This is why they work to educate landlords on the entire process so they can best protect their investments.